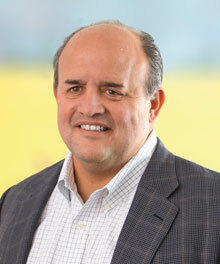 Alberto Omeechevarria is a founding principal of Biscayne Contractors. Inc. and has spent the majority of his professional career building the company from the ground up. From its beginnings in 1986, he guided and carefully orchestrated the growth of Biscayne to the respected industry leader the company has become. Based on a foundation of the fundamental principles of quality, professionalism, and ethics, the company has grown and cultivated a loyal clientele of government and commercial customers in the Washington DC metropolitan area. Providing a diverse range of construction services for more than thirty years, Biscayne has successfully completed thousands of projects from less than $25,000 to over $10M including base building, renovation and build out. In addition to his essential leadership in the development and day to day management of Biscayne, Mr. Omeechevarria has been an active supporter of a number of philanthropic enterprises including the Children’s Defense Fund, Operation Smile, the Haitian Relief effort, and third world educational facilities in Nicaragua through active involvement in the First Serve Foundation. On the local level, he has served on the Board of the Washington Tennis Foundation and the Prince George’s County Board Of Trade. As a lifetime advocate for children’s issues, he and his wife, Ivanna have contributed immeasurable time and resources to improving the lives of children in need and are successful foster parents for several children. Mr. Omeechevarria is a resident of Alexandria, Virginia, where he is active in the community along with his wife and two sons.